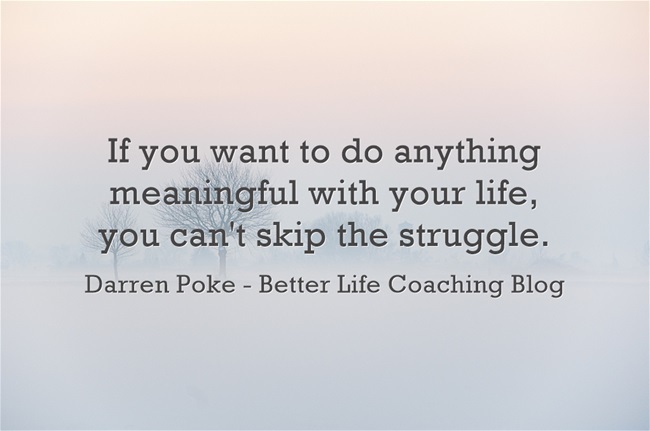 If you want to do anything meaningful with your life, you can’t skip the struggle. You can’t avoid doing the work required to achieve significant goals. You won’t be able to learn everything that you need to know in a moment. You will feel anxious and unsure about the future. And there will be times when you don’t seem to be making much progress. But in the end, the struggle will help you to develop the strength that you need to be successful. You will gain satisfaction from the work that you’re doing. You will be wiser than you ever thought possible. You will understand that courage is on the other side of your fears. And you will look back and see just how far you’ve come. It’s tempting to skip the struggle and aim for comfort. But that’s how the average live their lives, not you! Wonderful article. Thanks a lot. Overcoming adversity is what makes any goal worth achieving.